Ngubani na lo uvele ngentloko emva kwentaba? This poem is an ode to the sun; it praises its beauty and splendor. The sun is viewed as God or a symbol of Godliness. It is personified to be a mother who provides for her children incessantly. Zuza uloyiso, udle ukubila kwakho. Bagcuntswa emiqolo, bazalwa badla bafa! Uloyiso lolwakho, kule mfazwe yobomi! I Afrika siyakha ngaloo mingeni! The poem portrays life as a battlefield. Each person who has a vision of success in life is a soldier. He should not runaway from challenges but strive to overcome. Even if it seems he is facing some form of defeat he must not surrender. Cowards are defeated before they have struggled. Life is no bed of roses. It needs bravery for a victorious life. That victory comes through strategic use of tactics which are essential for this struggle or fight. Dr Menzi Meshach Minsie Duka was born in Cradock on 11th November 1948. In 1996 he established Cradock Writers Association. The Eastern Cape Provincial Arts and Culture Council funded the programmes of this association of which Dr Duka was the leader. Through such funding he produced books such as: Amavo Obuntu (essays), Ubusi (short stories), Imidlalwana Encasa (Three – one – act plays), Isihobe seAfrika Entsha 1 (Anthology of poems), Isihobe seAfrika 2 (Anthology of poems), Iingqwebo Zoluncwadi Lwanamhlanje (analysis of IsiXhosa literature) and Isihobe seAfrika Entsha 3 (An anthology of poems yet to be published). Some of his poems are in various anthologies such as Intambanane, Umthombo, Vukani Kusile and others. In 1999, Dr Duka obtained his Masters Degree with distinction from the University of South Africa (UNISA). His research was in ZS Qangule’s poetry. Three years later, he obtained a doctorate in Literature and Philosophy from the same university. 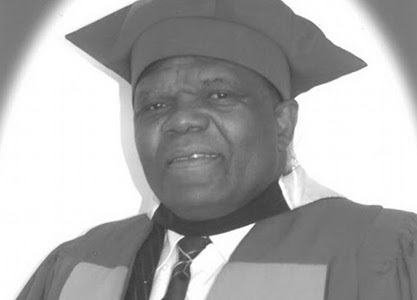 In his thesis he interpreted and analysed Professor Ncedile Saule’s novels using formalism, structuralism and post – structuralism. He is the chairperson of Vusubuntu Lodge and Cultural Village (Cradock) and the Cradock Socio-economic transformation Forum in Cradock. He is also the Senior Pastor of Holy Trinity Ministries and is currently writing Christian books and another anthology of isiXhosa poems. He also participated in the African Renaissance of South Africa from 2002 to 2010. He was the chairperson of Eastern Cape African Renascence Chapter and a board member of the South African Chapter of African Renaissance. He delivered speeches during some seminars of this movement. He has also read a paper in the SEK Mqhayi conferenceof 2010. In July 2012 ISER (Rhodes university) summer seminar he also read a paper on the legacy of Matthew Goniwe as well as many papers on James Arthur Calata and during other occasions organised by the Departments of Arts and Culture. During Grahamstown Wordfest he read some of his IsiXhosa poems and also launched his books. Currently Dr Duka is an educationist, academic, author of books, community builder and a church leader. He is an inspector of schools, that is, a circuit manager in the Cradock district in the Eastern Cape South Africa.